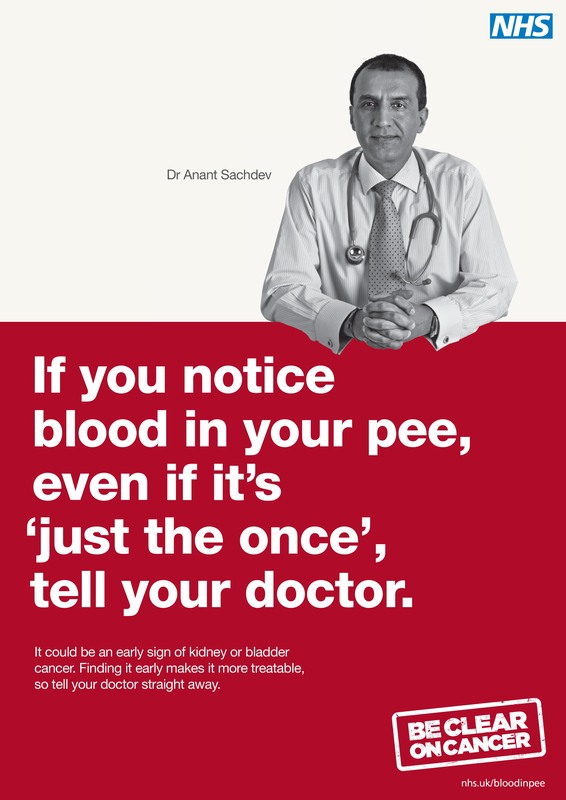 We’re supporting the Be Clear on Cancer ‘Blood in Pee’ campaign. Launching on 13 October, the Be Clear on Cancer campaign will run for six weeks across England with the aim of raising awareness of a key symptom of both bladder and kidney cancers – blood in pee. 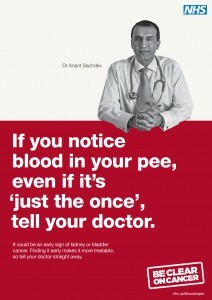 The campaign encourages people who notice blood in their pee to see their doctor straight away. These cancers are more treatable if they are diagnosed early. Adverts will appear on national TV and radio. There will also be events in public areas such as shopping centres. Around 17,000 people in England are diagnosed with bladder or kidney cancer each year and these cancers account for around 7,500 deaths each year.